4-1 What is the History of the Annexation of Korea by Japan? It has been argued that the Annexation of Korea by Japan was based on mutual agreement, or was undertaken peacefully. Is this in fact true? The annexation of Korea that took place in August, 1910 was based on the so-called “Japan-Korea Annexation treaty”, which stipulated that the Japanese Empire take over the Korean empire, making it a colony of Japanese territory. 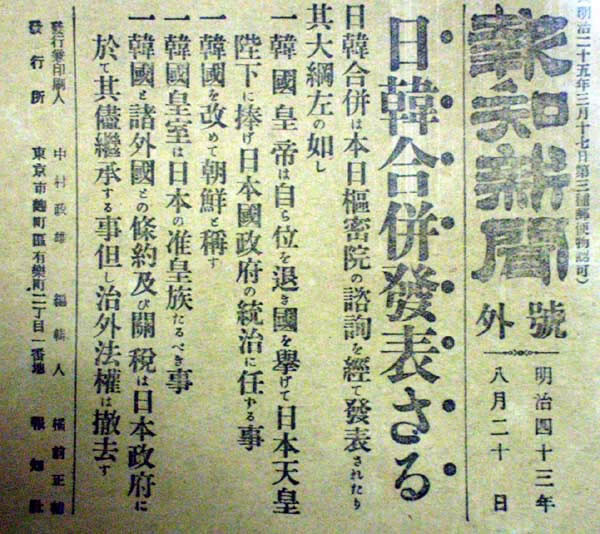 The treaty stated that “His Majesty the Emperor of Korea makes the complete and permanent cession to His Majesty the Emperor of Japan of all rights of sovereignty over the whole of Korea” (Article 1) and “His Majesty the Emperor of Japan accepts the cession mentioned in the preceding article and consents to the complete annexation of Korea to the Empire of Japan.” In other words, the logic of the document is that the Emperor of Korea handed over all sovereignty of Korea to the Emperor of Japan, who accepted it and incorporated Korea into Japan. This treaty is the basis for the claim some make that the annexation of Korea was carried out through mutual consent. So why didn’t Korea show resistance to the annexation? Certainly there was no massive opposition movement at the time. It is important to bear in mind that as part of its aggressive implementation of the Annexation, Japan was strengthening its army and police security, and in particular had been steadily massing its security forces in Seoul since June in preparing to maintain public order in the metropolitan area. Masatake Terauchi, who had executed the treaty, boasted that “it is an undeniable fact that the maintenance of public order including through the use of military power and constant guard brought great results (ie: annexation had been managed peacefully)” (Kankokuheigo shimatsu kankei shiryo [Documents regarding the annexation of Korea], p. 78). It is important to remember however that there was a history of a high level of armed resistance to Japan by groups like the uibyeong (righteous armies) in the entire period between the 1890 invasion of Korea during the Russo-Japanese War and the 1910 Annexation. Japan suppressed them thoroughly during the Righteous Army Wars (truly wars of colonization) by reinforcing the army. 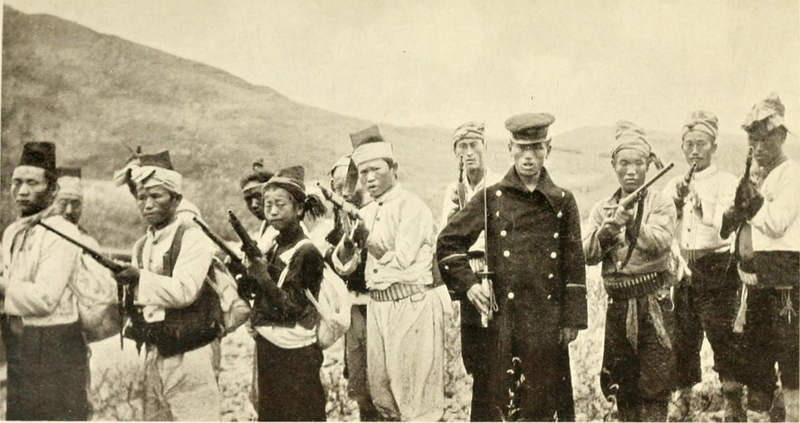 In the Chosen boto tobatsu-shi (a report on mob subjugation in Korea which was compiled by Japanese security authorities for 3 years, from 1907 to the end of 1910), there is a record of 2,819 conflicts between Righteous Army forces and the Japanese army. It states there were 140,000 righteous army fighters, out of whom 17,688 were killed. The death toll can’t give us a full picture of the scale of a war, as it is only one of the indexes in measuring it, however this far exceeds the Japanese death toll in the Sino-Japanese War, 13,000. Furthermore, in contrast with righteous army fatalities, those of the Japanese number only 130. This indicates that the Japanese army’s work may have not been limited to righteous army fighters, and that they may have massacred Korean civilians as well. Finally at the end of 1909, they implemented a massive campaign to finish them off for good, called the Nankan dai tobatsu (Massive Subjugation of Southern Korea). Since the 1904 Russo-Japanese War, Japan had usurped Korea’s sovereignty in increments. The Korean Government’s resulting lack of freedom is one of the factors that calls into question their so-called “consent” in agreeing to annexation. Immediately after the start of the war, Japan forced on Korea the Japan-Korea Protocol of 1904. This established things like Japan’s interference in domestic matters as well as the appropriation of strategic locations. The Japan-Korea Treaty of 1905 deprived Korea of its diplomatic sovereignty and made Korea a protectorate of Japan. Next Japan used the Hague Secret Emissary Affair as an opportunity to force Korean Emperor Gojong to abdicate. Gojong had sent secret emissaries to the Second Hague Peace Convention of 1907 to declare the Japan–Korea Treaty of 1905 invalid. After dethroning Gojong for showing anti-Japanese sentiment, Japan enthroned the sickly Sunjong, robbing Korea of its internal sovereignty and reorganizing the governing system with the Japan-Korea Treaty of 1907, establishing the office of a Japanese “Resident-General”. In the face of such intermittent interference with its sovereignty, we need to re-examine whether or not the Korean Government was really acting in free will. At recent Japan-South Korea and Japan-North Korea negotiations, when the possible invalidity of older Japan-Korea treaties causing the annexation to be illegal is debated, there has been a focus on the Japan–Korea Treaty of 1905. The scholarly discussion about the validity of this treaty gained steam around 2000, and it ended up going beyond the field of history and involving scholars of international law. 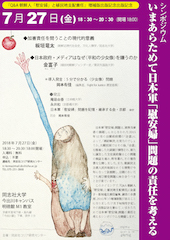 Of particular note is the debate between Yu Tae-jin and Fukuju Unno. The main points of contention can be roughly divided into the following: 1.Questions of formality such as the presence or absence of an instrument of ratification and the procedures of the transition of sovereignty, and 2. whether the fact that Japan did things like use force against the Korean representatives during the process of signing the treaty should be considered an impediment to its validity. Related to the second point, Resident-General of Korea Hirobumi Ito who took the lead in making the treaty, was menacing residents in the center of Seoul with military exercises as the document was being finalized, his conduct both fraudulent in word and deed. Anti-Japanese movements that denounced him such as the Righteous Armies and the Aeguk kyemong undong (Patriotic Enlightenment Movement) gained force. Even though scholars of Japanese and Korean history disagree over whether the treaty is invalid, there is no disagreement on the recognition as historical fact that it was signed under duress. The history of the signing of the Japan–Korea Treaty of 1905 clearly shows us that Japan pillaged Korea’s sovereignty using the threat of military force. In Japan, the Annexation of Korea is sometimes called the Annexation of Japan and Korea. Tetsukichi Kurachi, a former chief of the Political Affairs Bureau, claims to have chosen the word “annexation”. He said, “We had to be clear that Korea, now in utter ruins, had become part of the Empire’s territory, but I didn’t want to use any language that was too extreme.” He says that after a lot of struggle, he finally decided to use the word heigo (“annexation”) because it was also not commonly used at the time. 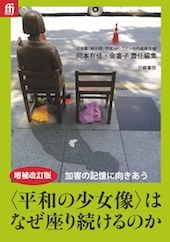 (“Chosen heigo no rimen” [Behind the Korean Annexation], Midori Komatsu). Actually, the word “annexation” had appeared in documentation before that, so Kurachi`s recollections differ from what actually happened. Putting that aside, what we can say is that Japan used the word in order to conceal the true nature of the colonization, and the concept calls for a proper verification in the context of the historical record. The term “Japanese-Korean Annexation” is in fact used in Korea, but the term “Forced Occupation” is becoming more common, based on the idea mentioned above that the Japan–Korea Treaty of 1905 is invalid.